Or the process of having students "choose their own adventure" and find meaning through their interaction with digital materials. Below is a lesson example for developing text based on a social justice theme. Using the "teacher in role" technique, present the following as "stumbling" upon a digital journal where students must explore, make connections and then expand their thinking to their own work. In my classroom, I had the students explore the prompts with the lens of their own social justice theme. They then pulled five to eight sentences for their exploration and applied those five to eight sentences to their own character creation. We developed flash scenes where students were required to use the sentences in the dialogue. The scenes were then workshop and expanded upon using the creative process. How can you use this hypertext digital journal in your classroom? Can you prompt your students to write their own monologues and scenes? To have critical conversations? To create their own hypertext digital journals of their own? I would love to hear how you used this resource. Please comment below and let us know how your students made meaning of these links. Where Does? Awareness to Action? Welcome to my digital corner, where I collect a variety of texts around social issues, social justice, and inspiring change. Make sure to check back as this page will be updated when new content inspires me! Here I strive to move from awareness to action. I want to talk about impact, not intentions. ... truth collide with fact? ... bias gives way to new perspective? ... conflict lead to peace? ... questioning lead to new understandings? - how you, as a creative writer, be inspired by this digital collection to create your own digital portfolio that speaks to who you are, your passions, and why your audience should be aware of social issues. 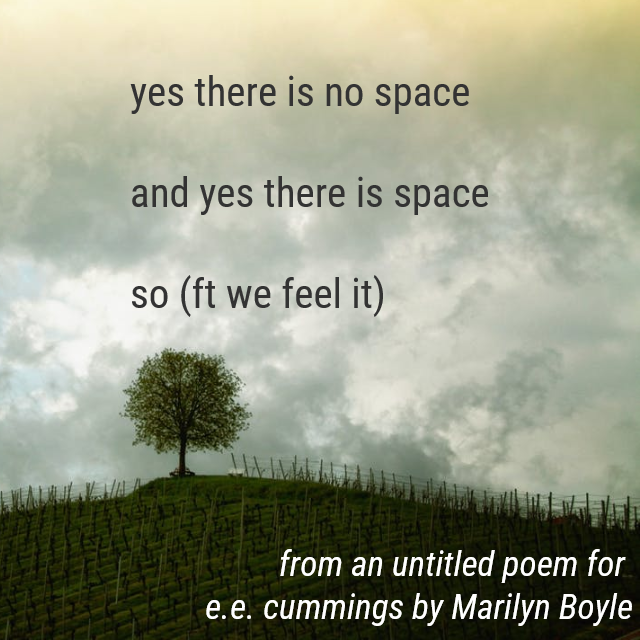 Boyle, M. “Untitled Poem .” League of Canadian Poets, poets.ca/wp-content/uploads/2017/08/M-BOYLE.png. CBCtv. “Cultural Appropriation vs. Appreciation | CBC Radio | CBC.” YouTube, YouTube, 27 Oct. 2016, www.youtube.com/watch?v=vfAp_G735r0. “A Collection of Resources for Teaching Social Justice.” Cult of Pedagogy, 23 May 2018, www.cultofpedagogy.com/social-justice-resources/. Dickinson, Emily. “‘Hope’ Is the Thing with Feathers - (314) by Emily Dickinson.” Poetry Foundation, Poetry Foundation, www.poetryfoundation.org/poems/42889/hope-is-the-thing-with-feathers-314. Gay, Ross. “To My Best Friend's Big Sister.” Poets.org, Academy of American Poets, 13 May 2014, www.poets.org/poetsorg/poem/small-needful-fact. “In a Heartbeat - Animated Short Film.” YouTube, YouTube, 31 July 2017, www.youtube.com/watch?v=2REkk9SCRn0. “Mirror Messages.” DoSomething.org | Volunteer for Social Change, www.dosomething.org/us/campaigns/mirror-messages. TEDtalksDirector. “The Danger of Silence | Clint Smith.” YouTube, YouTube, 15 Aug. 2014, www.youtube.com/watch?v=NiKtZgImdlY&t=38s. Schulten, Katherine. “The Power to Change the World: A Teaching Unit on Student Activism in History and Today.” The New York Times, The New York Times, 7 Mar. 2018, www.nytimes.com/2018/03/07/learning/lesson-plans/the-power-to-change-the-world-a-teaching-unit-on-student-activism-in-history-and-today.html. ShaneKoyczan. “To This Day Project - Shane Koyczan.” YouTube, YouTube, 19 Feb. 2013, www.youtube.com/watch?v=ltun92DfnPY. soulpancake. “How To Change The World (a Work in Progress) | Kid President.” YouTube, YouTube, 19 Dec. 2013, www.youtube.com/watch?v=4z7gDsSKUmU. Zarzour, Kim. “York Region Students, Community Leaders Sleep on Streets for 360 Kids.” YorkRegion.com, 2 Mar. 2018, www.yorkregion.com/community-story/8292500-york-region-students-community-leaders-sleep-on-streets-for-360-kids/. Zepeda, Ofelia. “Carrying Our Words.” Poets.org, Academy of American Poets, 28 Nov. 2017, www.poets.org/poetsorg/poem/carrying-our-words.